Many Congratulations to Aaron Murray of Pocklington, York. 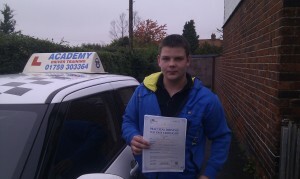 Aaron passed his Practical Driving test today at York Driving Test Centre. Another first time pass for Academy Drivers !